Singing a class song in your own language can be easy but why not challenge yourself and record a class song in English! Not only will it challenge your language skills but it will also help you to communicate with those in the class better. The following are some tips you can use to help you record a class song in English. Choose A Song – First you need to choose a song that you want to sing in English. When choosing a song make sure that everyone knows it and to begin with make sure it is easy without too many technical aspects to it, this way it won’t seem like a big task to interpret and sing. Translate The Song In English – Next you need to translate the song into English. Try yourself to translate it if you can. This will help your English skills to improve while helping you to understand the English language better. 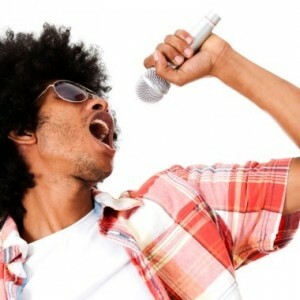 Choose The Best Singers – Next you will need to choose the best singers for your song. You can hold auditions if you like to get the right person for the song. Choose whether it would sound better with a male or female singing it, or even both as a duet. Record Your Song – Make sure when recording your song you have good recording software. Using good recording software will help to make your song much better and you can change parts as you need to. Have Fun – Lastly the most important thing is to have fun. Let yourself be creative and see how much fun you can have while recording you class song in English. So if you love music and you want to challenge yourself why not try your hand at recording a song in English to see just how creative you can be.